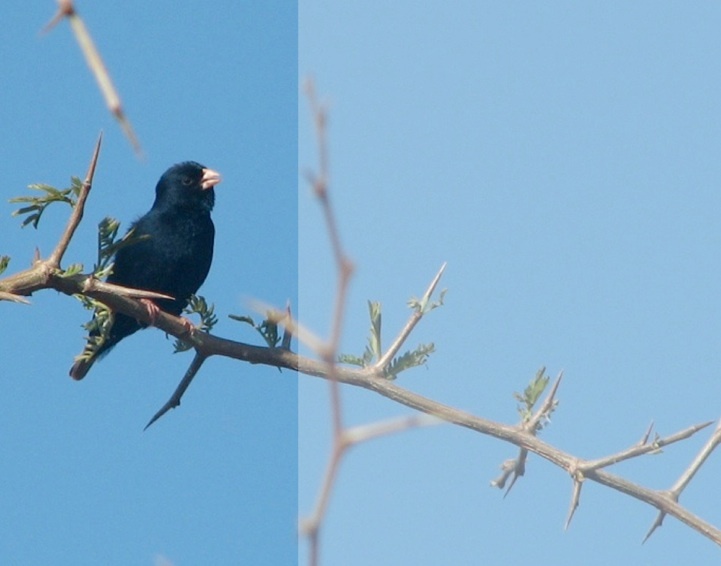 Indigobirds (family Viduidae, genus Vidua) comprise 10 species of brood parasitic finches distributed in sub-Sahara Africa. 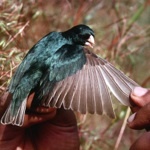 These birds parasitize finches (family Estrildidae), and have a high degree of host-specificity and relatively benign effects on host reproduction in comparison to other parasitic birds. Research of the morphology, behavior, and genetics of these birds has examined a variety of biological phenomena including imprinting, mimicry, and speciation. 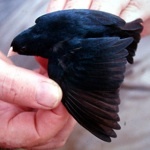 However, basic natural history information for indigobirds is incomplete, and much remains to be learned from these birds. The aim of this website is to serve as a resource for disseminating and collecting information on these fascinating birds. You can contribute to this process by depositing your own sightings, recordings, and observations! This website was created and is maintained by Jeffrey DaCosta and Michael Sorenson. This material is based upon work supported by the National Science Foundation under Grant Numbers DEB 0089757, DEB 0309249, DEB 0640759, and DEB 1011517.